Children’s day, in Hindi known as “Bal Divas”, in India falls on November 14th every year and for good reason. Children’s day is celebrated on Pandit Nehru’s birthday as a day of fun and frolic, a celebration of childhood, children and Nehru ji’s love for them. Chacha Nehru, as the children fondly referred to him as, was fond of both children and roses. In fact he often compared the two, saying that children are like the buds in a garden. They should be carefully and lovingly nurtured, as they are the future of the nation and citizens of tomorrow. 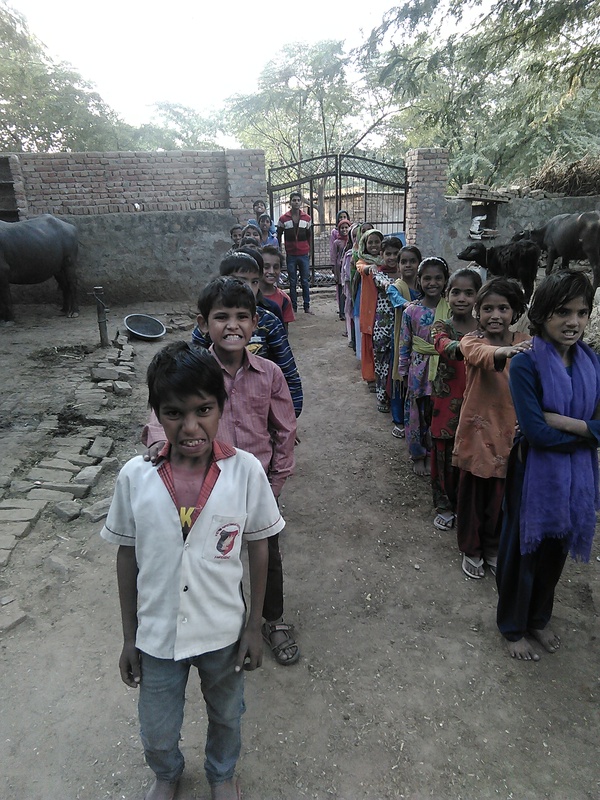 He felt that children are the real strength of a country and very foundation of a society. He was the loved by all the children who gave him the endearing name of “Chacha Nehru”. As a tribute to this great man and his love for children, his birthday is celebrated in all over India and we at The Laksh Foundation of course did the same. Most schools and Organisations have cultural programmes for the day. 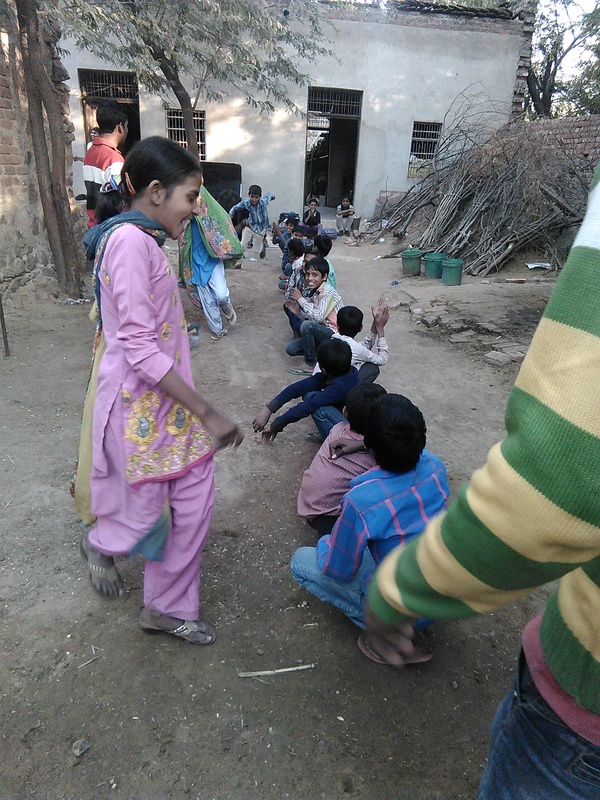 We started the celebration with songs and some starter activities which we learnt from the Warwick volunteers. We sang songs and poems for children e.g. Shalom my friend….., you are beautiful….., Chanda ke prakash me……. (Hindi poem), and lots of English poems. 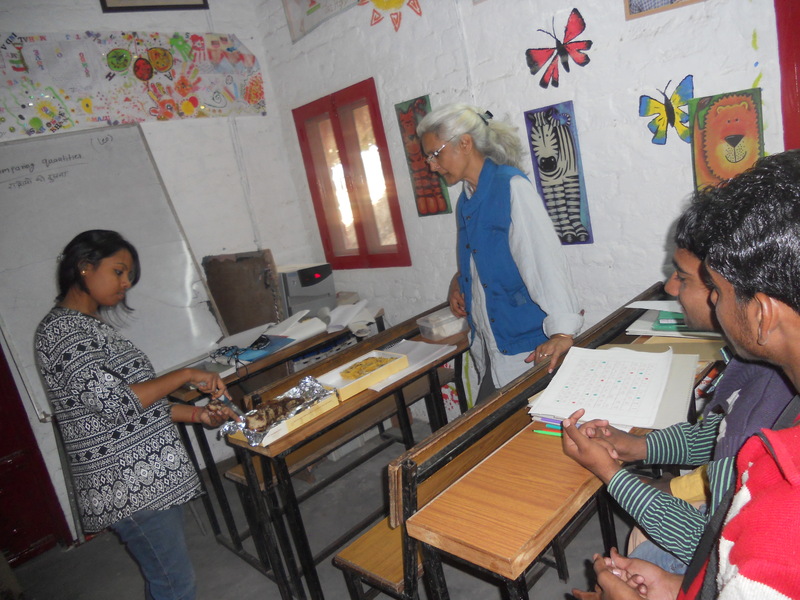 We also organised a workshop with the help of Ms. Viveka Chatopadhyah for slow learner students. As you know we have some special children in our centres. 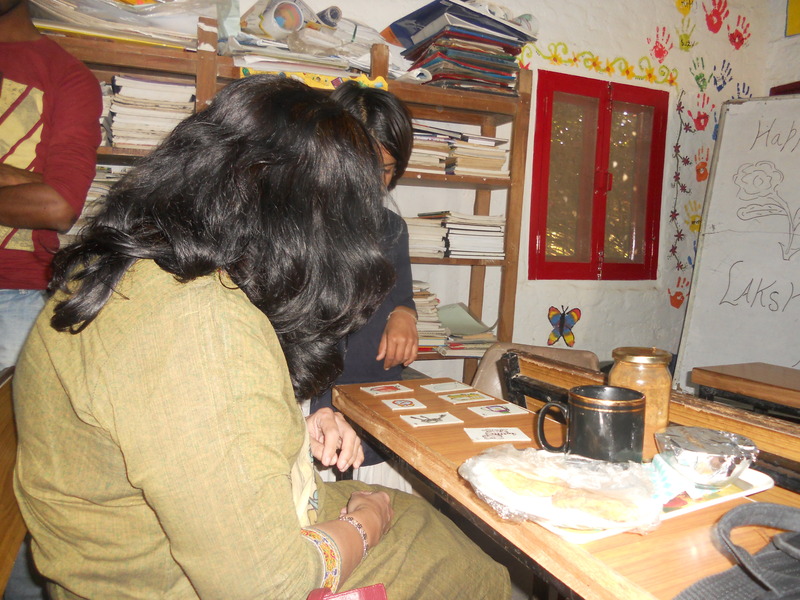 Ms. Chatopadhyah assessed five students in particular through different activities. 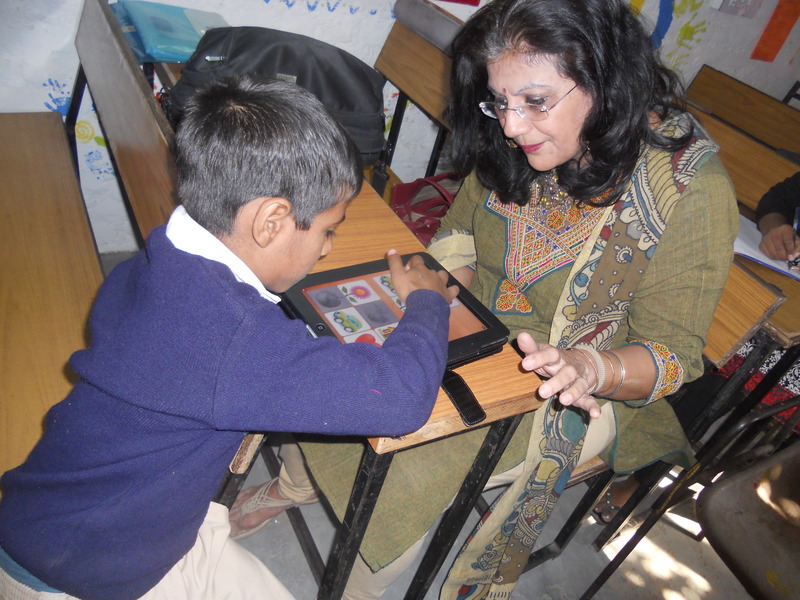 She asked them to participate in the activities using her tablet. She had lots of activities and games on her tablet. It was really amazing and she asked arrange in the orders, colours name, match the following etc. She promised to work more with us. 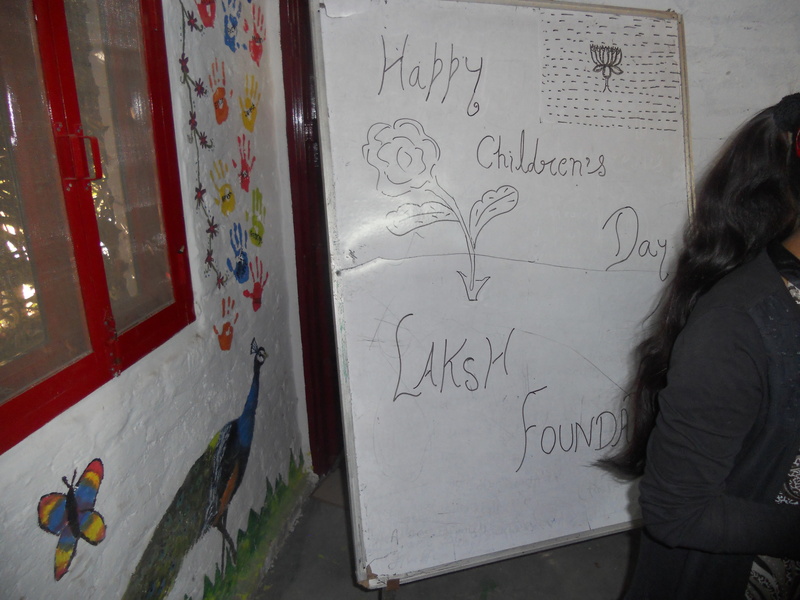 At the end of October and during the first week of November, we celebrated the birthdays of two important people of the Laksh Foundation. On the 29th of October, we celebrated Ms. Ila Lumba’s (President of the Laksh foundation) birth day and on the 1st of November we celebrated Ms. Sheela Kumari’s birthday. We celebrated their birth day with cake cutting. On 5th of November, we made some teaching tools according to the results of our discussion for effective teaching. 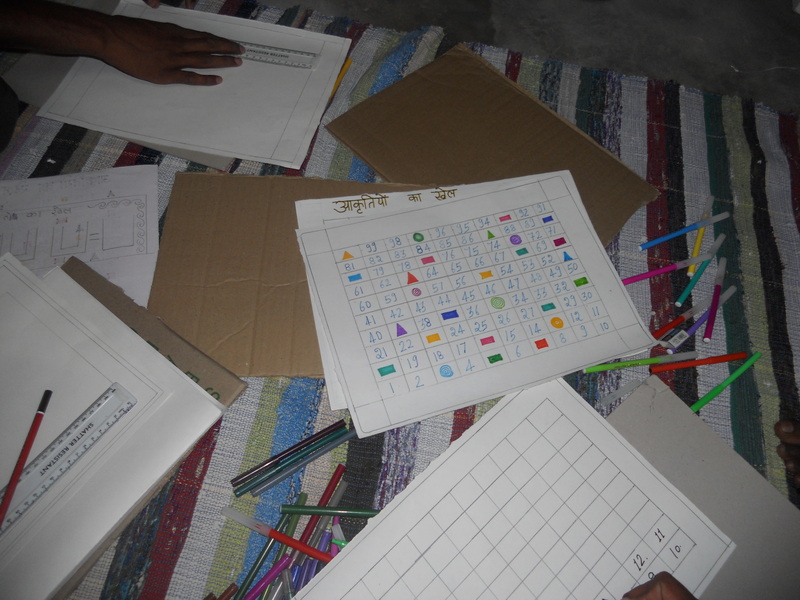 We all got many new teaching ideas while making the tools and we really enjoyed the work shop.